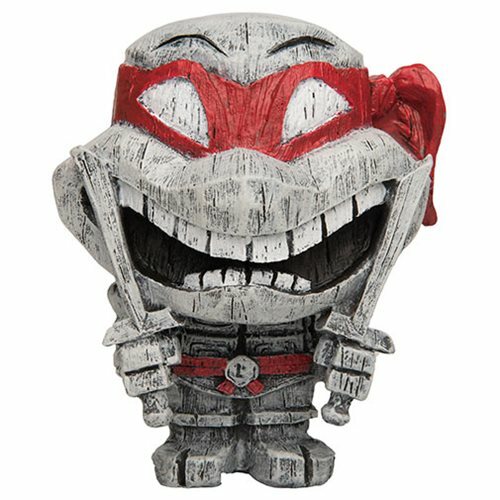 Add some Turtle Power to your collection with Teenage Mutant Ninja Turtles Eekeez figurines from Foco - like this adorable Teenage Mutant Ninja Turtles Leonardo Variant Eekeez Mini-Figure inspired by one of the stars of the TMNT franchise. This variant version features Leonardo in his black, white, and red deco variant reminiscent of his look in the comics! The exceptionally detailed polyresin figure stands 4-inches tall and comes in window packaging.